My parents are visiting for the weekend, so we had a lazy morning. After a huge feast last night of braised chicken and parsnips, a riff on this macaroni and cheese, and a kale salad with toasted almonds and dried cherries, we only needed a nibble for breakfast. Muffins! 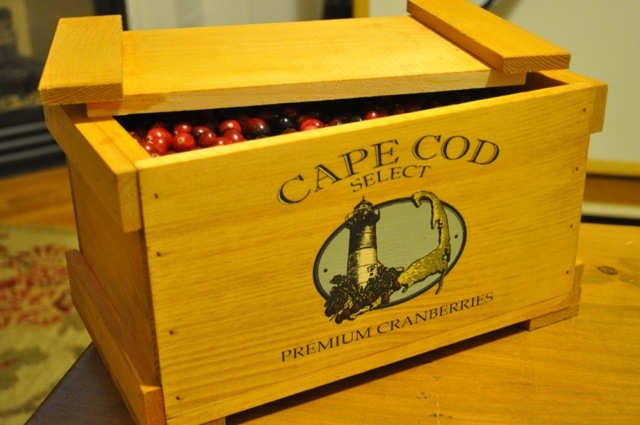 About two weeks ago, we ordered a five-pound box of fresh cranberries from Cape Cod Select. Take a look at that great box!